Join Mitchell College faculty, staff and students for the first in a series of book discussions held at the library on Wednesday, September 28 at 5:00 p.m. or Saturday, October 1 at 12:00p.m. 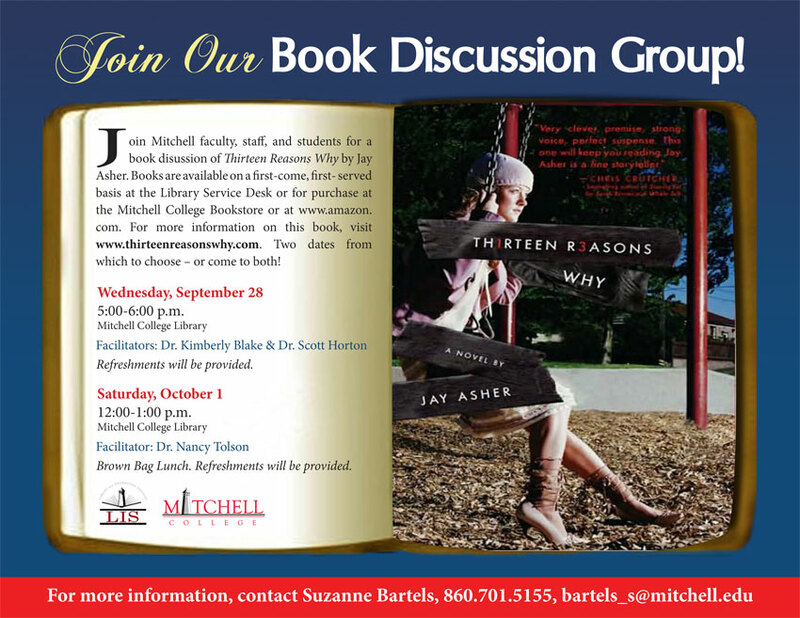 These faculty-led discussions with explore Thirteen Reasons Why by Jay Asher. Many thanks to Dr. Kimberly Blake, Dr. Scott Horton, and Dr. Nancy Tolson for facilitating these community discussions. Copies are available at the library desk or for purchase at the Mitchell College bookstore or amazon.com. Clay Jensen returns home from school to find a strange package with his name on it lying on his porch. Inside he discovers several cassette tapes recorded by Hannah Baker – his classmate and crush – who committed suicide two weeks earlier. 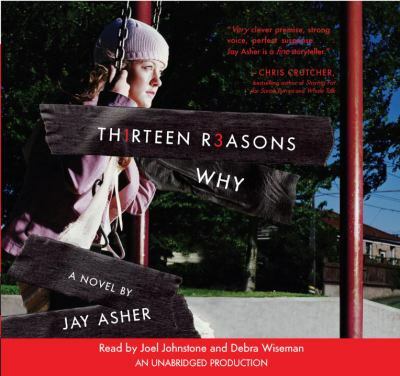 Hannah’s voice tells him that there are thirteen reasons why she decided to end her life. Clay is one of them. If he listens, he’ll find out why. Clay spends the night crisscrossing his town with Hannah as his guide. He becomes a firsthand witness to Hannah’s pain, and learns the truth about himself-a truth he never wanted to face. Thirteen Reasons Why is the gripping, addictive international bestseller that has changed lives the world over. It’s an unrelenting modern classic.